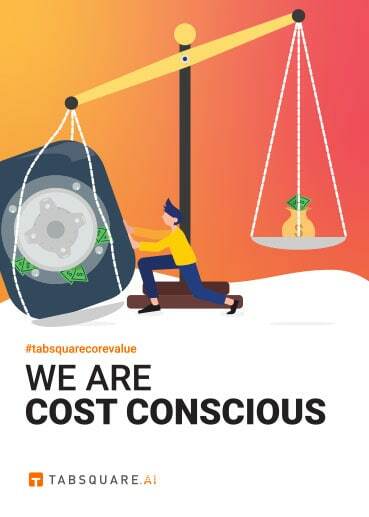 TabSquare revolutionises the concept of ‘dining out’ and change the way a consumer interacts with the restaurant environment using Artificial Intelligence. 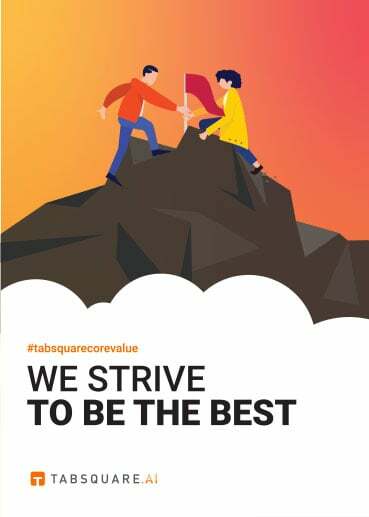 A market leader of in-restaurant technology for the F&B industry, it is an innovative hyper-growth company headquartered in Singapore with offices in Australia, Indonesia, and India. 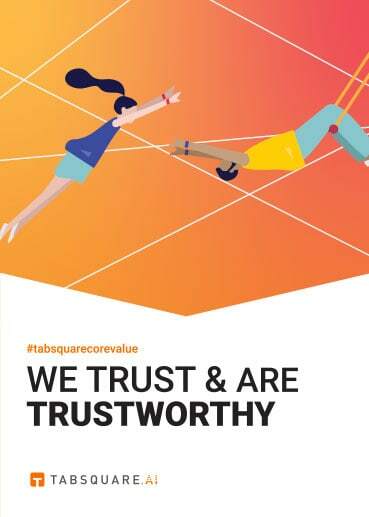 Managed by seasoned professionals, TabSquare is well funded and has an impressive client list in Australia and South East Asia. 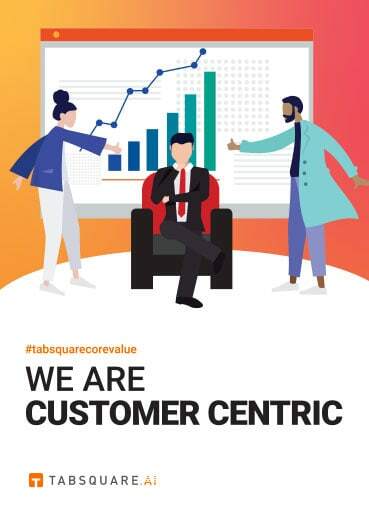 Powered by in-house advanced analytics capabilities and operations consulting, TabSquare’s proprietary solutions offer the most relevant up-sell opportunities to customers, enhancing customer satisfaction as well as providing incremental revenue and reducing costs for our clients. 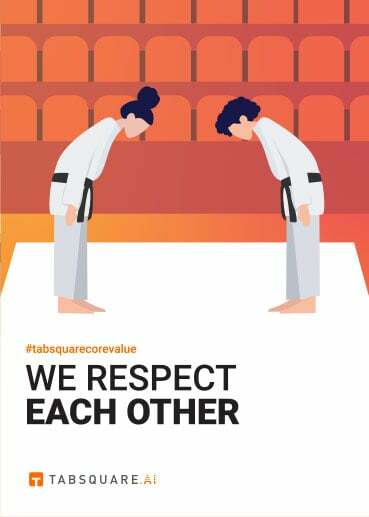 Fueled by one of the largest sets of its kind in the region, the team at TabSquare is working on some of the most challenging and fascinating technology problems available right now in the restaurant industry. From personalising the dining experience for restaurant diners by analysing their past behaviours and interactions, to predicting restaurant occupancy based on weather and traffic conditions – we are using big data to help change the way millions of people will dine at the restaurants and how restaurateurs will manage restaurant’s operations and engage with their restaurant patrons in the future. You will be a part of “Restaurants 2.0” story! This is a unique opportunity to join a multidisciplinary team of creative and passionate individuals destined to change the face of the F&B industry. 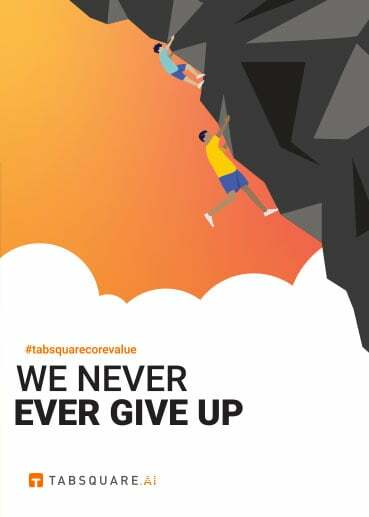 If you think you will fit into one of the roles, or even if you don’t but feel strongly about being a part of something big and exciting, are bored of your run-of-the-mill corporate job or want a job that can constantly challenge and invigorate you, drop us your resume at careers@tabsquare.ai right now!